​The Vivaldi Residences is a symphony over Metro Manila's discord. Evoking classical poise through its distinct European architecture, Euro Towers International, Inc.'s flagship and first-ever project is a 40-storey ower nestled between the MRT and LRT-2 transit lines near EDSA. Its address befits the transit-oriented city dweller, while its design depicts no less than fine aesthetic and a discerning taste. The Vivaldi Residences units reflect meticulous planning, with its carefully selected furnishings and a well-calculated balance of neutrals and of color. Reminiscent of the living spaces in Milan or Verona, the varied housing forms provide residents a myriad of options that will fit their lifestyle, whether it be a compact breathing space for the independent yuppie or a healthy, spacious home for the family. The calming ambiance dispels the noise of the outside world, making every stay at home a noteworthy rest. 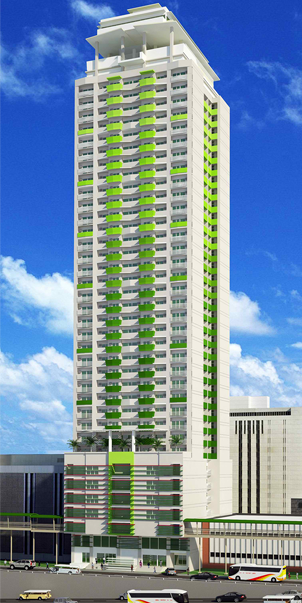 The European-themed enclave is also the first Quezon City Green Building, compliant to the preliminary certification issued by the Department of Building Official of the local government of Quezon City. 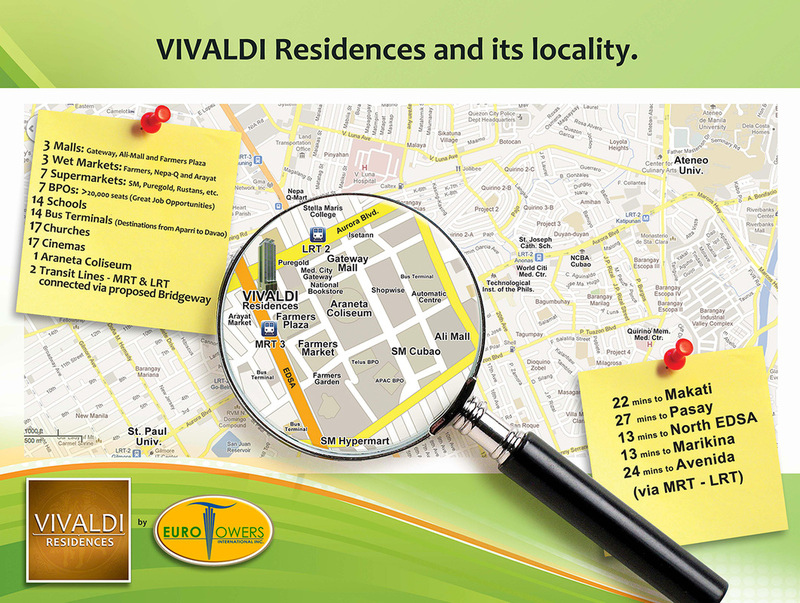 At Vivaldi Residences, one can expect energy- and water-efficient systems. Residents can breathe with a peace of mind: the air is devoid of toxic chemicals, thanks to the environmentally responsible and sustainable design. Like a musical piece composed with an exacting measure, studied technique, and a resonant emotion, Vivaldi Residences is a harmony of strategic design, ideal positioning, and tasteful living. It is a masterpiece, and its music waits to be discovered. GET 10% DISCOUNT until November 2016 only! ​PROMO TERM - RENT TO OWN until November 2016 only! Schedule your Site & Model Unit Viewing. Inquire now!